All orders are shipped from our warehouse in the Netherlands within one business day (no orders are shipped on Saturday or Sunday so any order placed after 2 pm on Friday will ship on Monday). Estimated shipping time is 1-6 business day. Here at FryskWare we love to spoil you and we ship worldwide to many countries, so we're offering GREAT VALUE postage no matter where you are in the world. Some Countries may have a minimum spend to qualify for fixed rate delivery. If minimum spend is not reached, postage will be calculated at checkout. Find your country and the delivery rates below. Additional taxes, fees or levies may apply according to your local legislation. 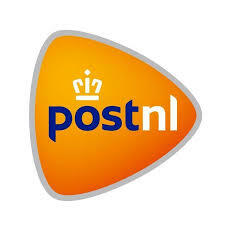 Recipients of deliveries made outside the Netherlands may have to pay import duty or formal customs entry fees. Any customs or import duties are charged once the goods reach the destination country and these charges are your responsibility and must be paid by the recipient. Unfortunately we have no control over these charges and cannot tell you what the cost would be as customs policies and import duties vary from country to country. In addition, some countries have import restrictions on certain products or materials. 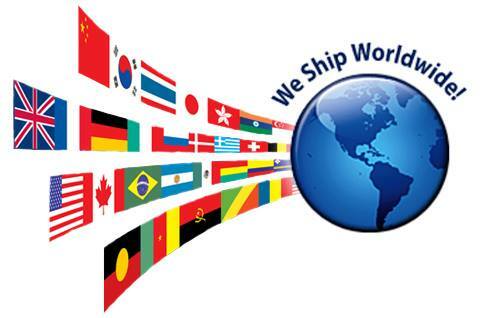 You are responsible for determining whether there are any restrictions on delivery of our products to your selected destination. You can contact your local customs office for assistance regarding these matters. Delivery may be delayed by local customs because of this but unfortunately this is out of our control. If you are not satisfied with your product in any way, Fryskware gives you 14 days in which you may return or exchange your item. Please note, however, that Fryskware is unable to provide a refund for any items that appear to be soiled or damaged in any way. Change of free items or bonus products is not allowed. If returned you will not receive any monetary or material compensation for them. RETURNS: You may return any item as long as the products are in the same condition and packaging in which they were sent out. You must cover the cost of return postage. It is important to inform us whether you wish your refunded money to be transferred directly back to your bank account or whether you would like it to be placed as credit on your FryskWare customer account. If you would like the refunded money to be transferred directly back to your bank account please provide us with your international bank account number IBAN and your bank´s SWIFT code. You should allow 2-3 weeks for Horze to process your return and refund you accordingly. The right to obtain a refund is valid where products have been found to be damaged, faulty or incomplete upon delivery. We reserve the rights for having minor differences in product colors and details. If you have any doubts regarding those details (also regarding embroidery orders), we advise you to contact our customer service before placing an order. Minor product detail differences and slight changes in colors do not justify a claim. Apply common sense. To obtain a refund, send your product to Luba Horse Blankets together with a filled out returns form. It is important that you provide us with sufficient information about your reason for returning the product, how much you have paid for postage and if you would prefer compensation by a replacement or refund of your money. You will also be compensated for the return postage costs if the fault is on behalf of Horze. You should allow 2-3 weeks for FryskWare to process your return and compensate you accordingly. Please note that if return or exchange parcel is lost when being sent back to Luba Horse Blankets, you will only be compensated if you have the postal tracking code for the shipment. within 14 days, you will be invoiced for the item and return/administration costs. Item will be disposed.